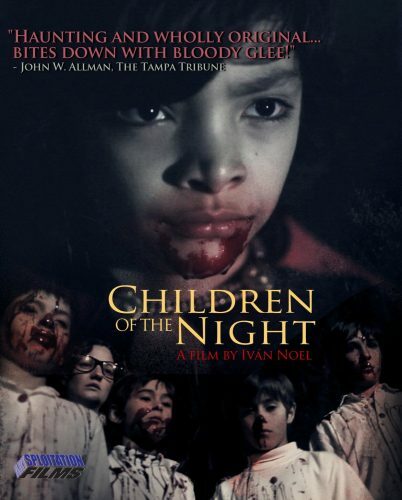 Children of the night or aka limbo is a artistic view on a film that has horror elements. Vampire kids grace the screen but in a more child like way with a more of a happy energizing soundtrack. So all in all its a different look on vampires and yes it not scary or even horror but it’s a film with horror traces. The story is OK and it’s on a B grade side of film. It’s not gritty but it does present some gore and kids eating or drinking blood of the living. The story follows a reporter who was invited to this place called limbo which house lost kids who turn out to be vampires. The film is more child like but not meant for kids to view. Acting wise it’s just OK and some kids do stand out. The film also has some action in it with the guys disappearing the kids and cutting heads off at times. Not that they are killing kids but vampires. The vampire kids aren’t looked at like monsters but as people in this film as we stay focused on the story about the children and how happy they are how they play and be kids even though they are all over the age they look. With that said I give the film a 3 out 5 as for me it was interesting and I did enjoy the score at times as well.